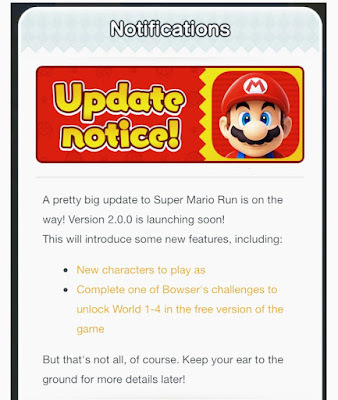 Following the recent launch of the game Super Mario Run on Android, Nintendo have also noted that a big update for the mobile game is about to take place. By updating to version 2.0, players will have access to new features which will hopefully give new meaning to their gameplay experience, and for fans who have reached the peak and looking for something new. 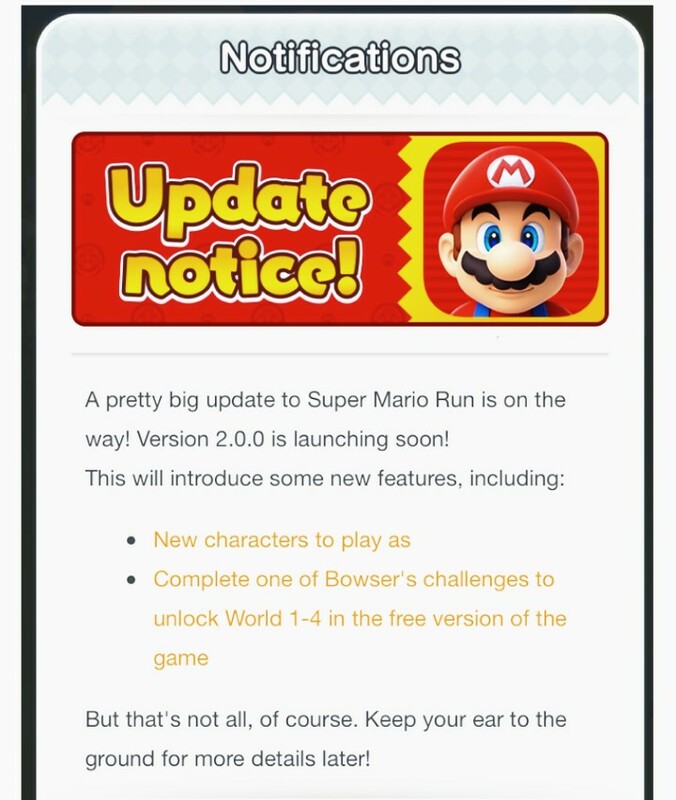 Additional characters are to be introduced to run along with more playable levels for the free version especially the ones Nintendo have highlighted. The exact date for the update is still unknown, we will keep track on this story till a definite date for the update is fixed.